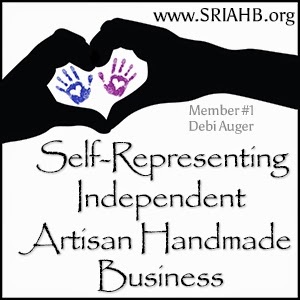 Designs by Debi: Do You Have a Business? Is it Successful? I know that a lot of you who follow this blog own your own businesses so I want to share a couple things you may find helpful. My mission is to give women entrepreneurs the knowledge and tools they need to successfully make a living from their passion and run their small business on a small budget while also empowering them to grow as big as they want to be and live the life they have imagined. I'm starting with a blog, facebook page and twitter account and hope to turn this into a bustling community with answers to all the challenges... business and personal... that you face as a woman entrepreneur. Second... If you're looking for an all-inclusive business program to join, there's a fabulous one launching right now called WE Mastermind. (You probably already noticed the pretty ad over there on the right side and now you can learn what it's all about!) It's put on by two leading online entrepreneurs, Natalie Sisson and Natalie MacNeil. So, if you want to build a thriving online business doing what you love, take a look at the Want More? Dream BIG? page over on the aWAEHQn dreams blog to find out all about it. Don't wait though... there's a limit to how many women they can accept into the program. Take some time between now and Sunday to invest in yourself, make an informed decision about whether this program is right for you and learn a whole lot for FREE while you do it. Go read all about WE Mastermind, the things you'll learn, and the opportunities you'll get. And look at the testimonials from women who have done the program. Yes, your truly is one of them ;) As you're reading this over, consider whether you think it would help you get to that perfect life you've been picturing. * MOST IMPORTANT * Please follow this link to sign up and be my guest at the WE Mastermind webinar this Sunday! It's being held at 4pm EDT on Sunday, May 13th. Now I know... it's Mother's Day here in the US. But, trust me, you don't want to miss it. Even if you end up deciding that WE Mastermind is not for you, you'll learn a great deal just by attending the webinar itself and it's FREE for you to attend. So, please take advantage of the opportunity. And, if you have any questions, just ask. I'd be happy to help.